If you are looking for the highest quality day care in the Huntington, NY area we hope you’ll consider Rainbow Chimes. We are confident that we meet all the needs most any child has with enthusiasm and flexibility. Rainbow Chimes is located in Huntington, NY, with easy access to the LIRR and the LIE, Rt. 25, and the Northern State Parkway. Do you offer a flexible schedule? We do! We open at 6 AM and close at 7PM and you can bring your child in for the hours that you and your family needs daycare. We offer before school and after school sessions as well. We provide care on days that the public schools are closed. The infant room uses a ratio of 2:8 with the capacity to have 3:8 due to floating staff. 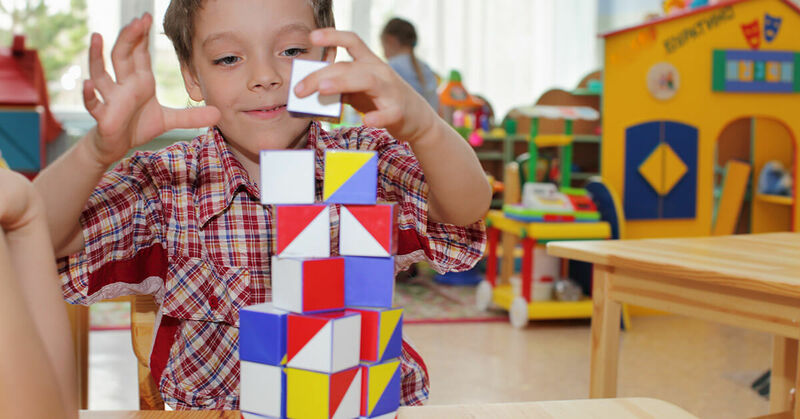 The preschoolers have a ratio of 1:6 or 1:7, depending on the activity and the children’s needs. The Kindergarten classes have a ratio of 1:7 or 1:9 depending on the activity. We’ve had a 5 Star chef on staff since 2007. Besides providing the children with healthy, delicious meals, we teach good nutrition through fun activities. Since our foundation, we’ve used the Highscope Curriculum which is centered around the principle of participatory learning. We offer a full-day kindergarten program that runs from 9 to 3. The class sizes are small and include meals cooked by our in-house chef. We use the highly-successful High Scopes Curriculum. Some transportation is available. Call for more information on this. If you don’t see your question, or want more information, please call our office.